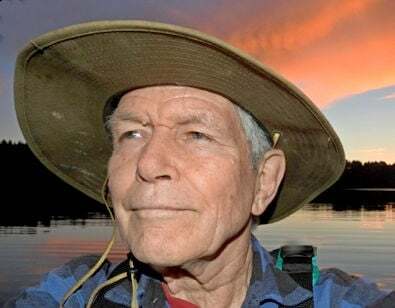 The book tells the story of a life lived in the wild as a landowner, environmentally conscious developer, builder, farmer, conservationist and wilderness steward. Kaufman’s love of nature and his commitment to conservation has never wavered, and the book narrates his hilarious, sometimes catastrophic stories of how to live with nature even when nature isn’t too keen on living with you. Kaufman will also be sharing slides and text from his latest book, “The Rubaiyat of Poole’s Slough: A Celebration and Reinvention of Life.” Combining photography and poetry, this memoir combines local pictures with reflective verses. As a life-long steward of earth and the environment, Kaufman is the perfect guest to herald in Earth Day, which falls just a few days later on Monday, April 22. The program, which is free and open to all, will start at 2 pm at 173 NW 7th Street. For more information, call 541-336-3132 or go to www.cityoftoledo.org/library.